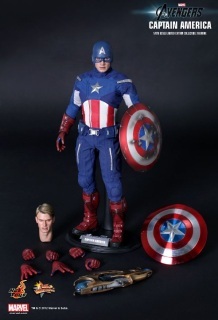 12" action figure. Plastic/Fabric. 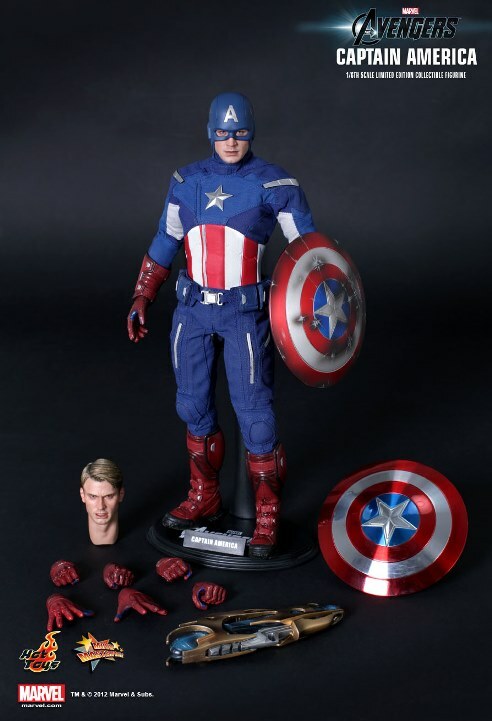 Sideshow/Hot Toys figure of Captain America from the 2012 movie 'The Avengers'featuring an accurate likeness of actor Chris Evans and authentic Hero costume and accessories. RRP £275.00.